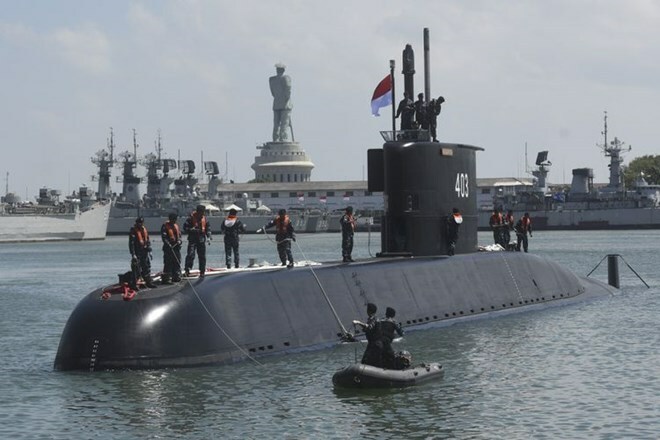 Jakarta (VNA) – A 1,400-tonne submarine manufactured in the Republic of Korea (RoK) arrived in a port of the Indonesian Navy’s Eastern Fleet in Surabaya after a 16-day voyage from the East Asian country. At a ceremony on August 28 to mark the ship’s arrival, Indonesian Navy Chief Adm. Ade Supandi stressed that the introduction of the new submarine will enhance deterrence against threats in the region and the Navy’s strategic capabilities, contributing to strengthening of the country’s maritime defence system. The Chang Bogo-class diesel-electric attack submarine can attain a maximum operating range of approximately 10,000 nautical miles with a crew of 40. The Indonesian Navy plans to deploy the submarine next year after equipping it with the Black Shark, a heavyweight torpedo developed by Italy's Wass. It is the first of three submarines Indonesia had ordered from the Republic of Korea under a 2011 deal worth 1.1 billion USD.